The Celestron 82030 is a RSR BINOCULAR TRIPOD ADAPTER which helps in mounting any tripod-adaptable binocular on a tripod quickly, easily, and securely. this accessory provides the ultimate stability and brings viewing to new levels. This accessory provides the ultimate stability and brings viewing to new levels. For enhanced viewing, the RSR (“Reflex Sight Rail”) may then be attached to the top of the Tripod Adapter base unit to accommodate any reflex sight. locating objects in either the sky or the field can be made easier by adding a reflex sight. The Celestron RSR Binocular Tripod Adapter has many exciting features for users of all types. You can extend the lifetime of your Celestron RSR Binocular Tripod Adapter with the purchase of a FactoryOutletStore Factory Protection Plan. 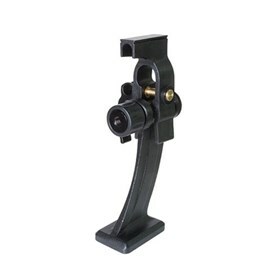 See the Celestron RSR Binocular Tripod Adapter gallery images above for more product views. The Celestron RSR Binocular Tripod Adapter is sold as a Brand New Unopened Item.